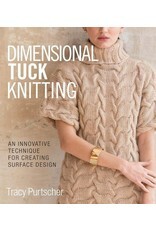 SP Dimensional Tuck Knitting - Crochet Stores Inc.
A whole new dimension of texture! With step-by-step instructions and illuminating information on every aspect of the technique, this volume provides a comprehensive understanding that will inspire knitters of all skill levels. More than 85 patterns, each with written and charted instructions, will dazzle; and the collection of 10 projects—ranging from a mohair shawl to a cozy blanket, from a bulky pullover to elegant fingerless mitts—will stun. 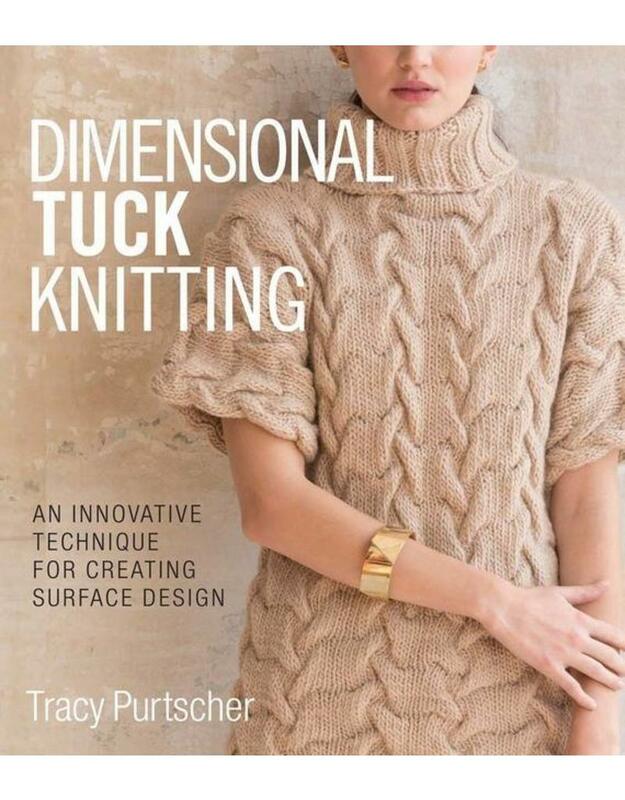 So, give Dimensional Tuck Knitting a try. It's the perfect new technique for all yarn weights, all projects, and every knitter who loves texture. Tracy Purtscher’s designs have appeared in Vogue Knitting, knit.purl, and Simply Knitting. She also runs the knitting blog Stringativity. In 2013, she was a finalist on the Fiber Factor, a Project Runway-esque knitwear design reality web series. In 2015, she won a design contest in Vogue Knitting magazine.